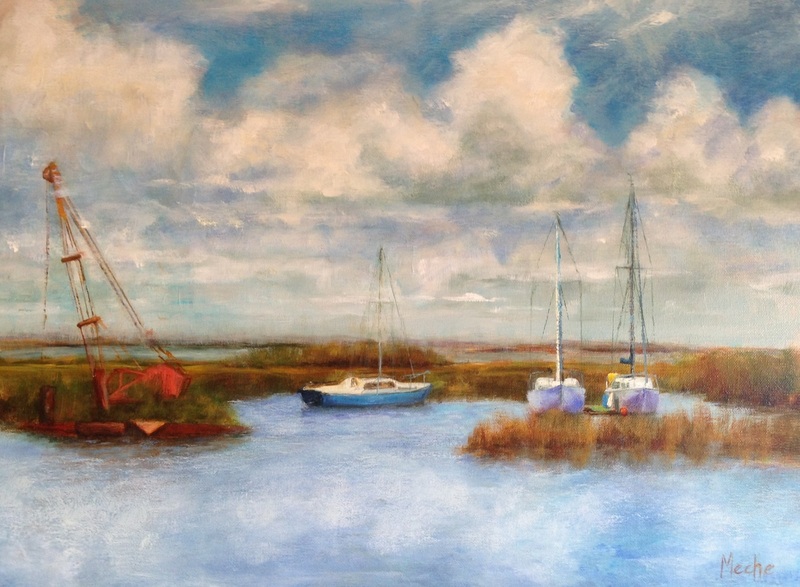 Marsh w/ Sail Boats & Oil Rig Oil Painting on Canvass, "Quiet Harbor", 18"x24", by Mercedes Franklin, Private Collection. There is variety & yet solitude. A nice quiet harbor to paint.